← Nail Care for Seniors: Should Your Elderly Keep Their Nails Long? One of the basic needs of humanity is the need to be understood. Famous English poet John Donne famously wrote that “no man is an island,” fully expressing the idea that human beings need the company of others to thrive and achieve happiness. This is where empathy comes in. Empathy, in the simplest terms, is the awareness of the feelings and emotions of other people. It is a key element in helping us understand the feelings and sufferings of other people. Having empathy is valuable when you are taking care of another person. In today’s society, everything is fast-paced and youth-centered, leading to many elderly being neglected, even by those who love them. Because of this, many seniors need care and support even more. Having a companion that can empathize with them and act as their friend is something that they will greatly appreciate. For individuals looking for a Home Care Provider in Manalapan, New Jersey, you can trust our compassionate caregivers to assist you with your daily tasks. For sure, you want to look for a home care provider that’s able to give your loved one the things that they need. 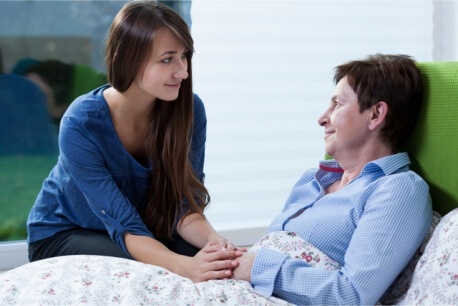 Should you ever need a Health Care Service in New Jersey that emphasizes empathy and compassion, ExPO Signature Home Care is here for you. We Provide In Home Care in New Jersey to many clients who need assistance with their activities. Our staff makes sure that you or your loved ones have their needs met while still maintaining their independence. This entry was posted in Elderly Care and tagged Empathy, Empathy Toward Seniors, Importance of Empathy. Bookmark the permalink.